Let’s hope winter get’s the hint and takes a hike on out of here. This has been the most dreadful of seasons for me. Let’s look past the health issues and anxiety among a lot of other things that make me shake my head and just say “No!”. I just want to talk about the weather, got it? Yep, I come back with a post and I discuss the flippin’ weather. How’s that for a blog? I’m not a winter weenie, I truly am not. I’ve lived in some pretty wintery places like New York, Alaska, and Germany had a pretty mix of blustery weather too. Heck I remember making igloos for fun on the way to school and getting lost in the snow as a child. So with that being said I’m still going to cry, WHAT THE HECK MOTHER NATURE???? The Polar Vortex, the winter storm after winter storm, and a lovely dose of bipolar weather the make all your hobbit hole dreams come true. I bet nobody blames me for sticking around in the house. When we get down into the 20’s with sleet and snow on Tuesday and it’s working its way up into the 70’s by the end of the week do you blame a person for going a bit weather insane? I’m saying good riddance winter, seriously. I’m done. I’m done with everything that has gone on these past few months and trying to move on. Maybe the first day of spring will be symbolism for that you think? I’m going to wish happy Spring thoughts and shout Blessed Ostara followed by a little information on this changing season. I gathered a little bit of information about the pagan celebration and honestly I can totally dig it. It’s beautiful insight and makes me think happy thoughts for the upcoming season. Anything for inspiration, right? 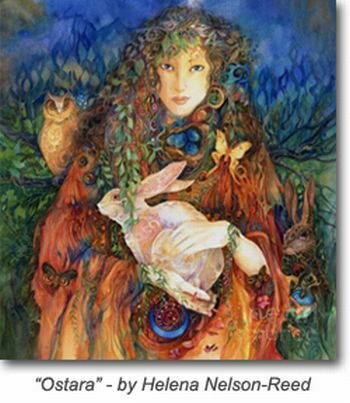 Ostara, also known as Easter,Alban Eiler, Lady Day, and the Festival of Trees. 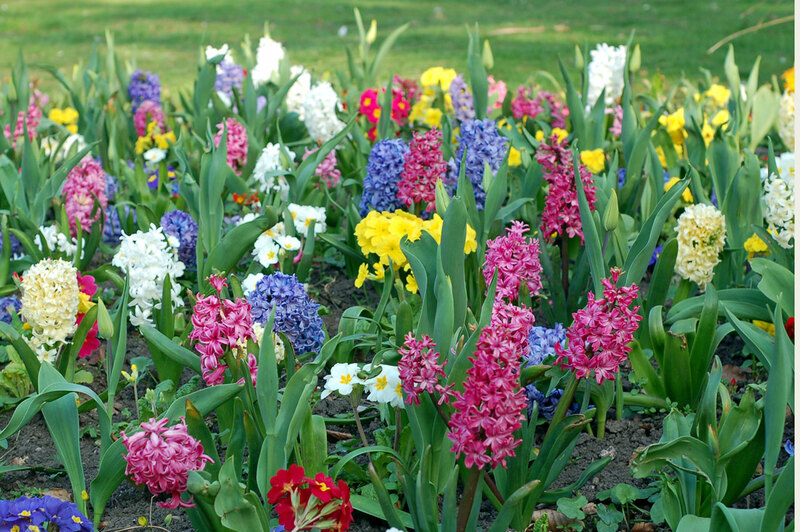 Ostara is the celebration of the Spring (Vernal) Equinox when day and night balance. Astronomically, the sun crosses the celestial equator at this time. The name for this Sabbat is derived from the Teutonic lunar Goddess Eostre. Her chief symbols were the rabbit (for fertility, and her worshipers often saw the image of a rabbit in the full moon) and the egg (representing the cosmic egg of creation). This is where the customs of “Easter Eggs” and the “Easter Bunny” originated. This is a time of renewal, regeneration and resurrections as the Earth wakes from her long slumber. This is the time of planting, children, and young animals. Ostara promises freedom from the dreariness of winters, it heralds the return of hope and dreams. The God of Spring is the young God, playful and joyful, born at Winter Solstice, nurtured at Imbole, now he’s like a young and mischievous child, still wild and new. He is raw, creative energy that has not yet been harnessed, tamed or civilized. He sees with clear eyes and does not hesitate to announce that the emperor is naked. He comes to us in the Spring when all of nature is shifting and changing; seeds poking out sprouts, butterflies emerging from cocoons, tadpoles growing legs and turning into frogs. It is also the beginning of the courtship between the God and Goddess, which will be consecrated on Beltane. So even though we are not close to May, for some reason this post reminded me of the song from Camelot about May, lol. Yup, this Winter has truly been a horrible one. Not so much for the Wintery part, more of mentally it’s drained me (and emotionally). I truly hope Spring is better.